...night crew to help keep the animatronics under control. (I.E. more staff to murder. Security nest office becomes final boss/goal.)" I know this is unlikely. 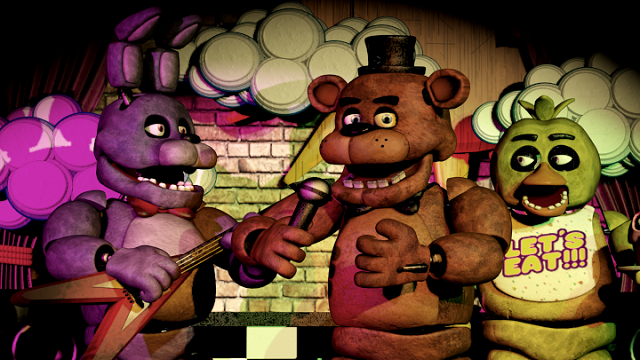 However, 5 Nights was designed as a short single player experience. If a similarly short multiplayer experience were developed in the same vein, perhaps that might give the "Freddy's" title a little more longevity. Also 5NaF is so popular right now I'm sure the dev has enough capitol to make it happen. We know the dev is already working on a sequel and I'm positive it looks nothing like this. This is just how I imagine it.